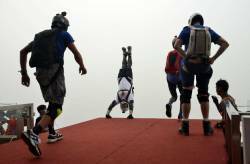 22 Nov 2018 / 21:31 H.
Inside this cone daredevils on motorcycles or occasionally on cars drive at break neck speeds along the vertical wall. 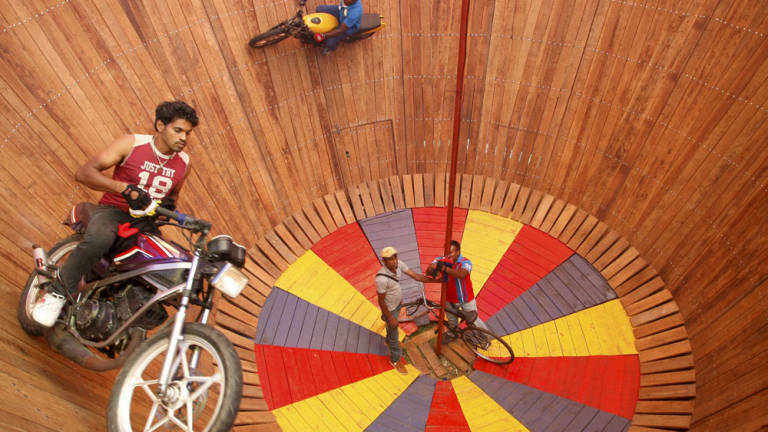 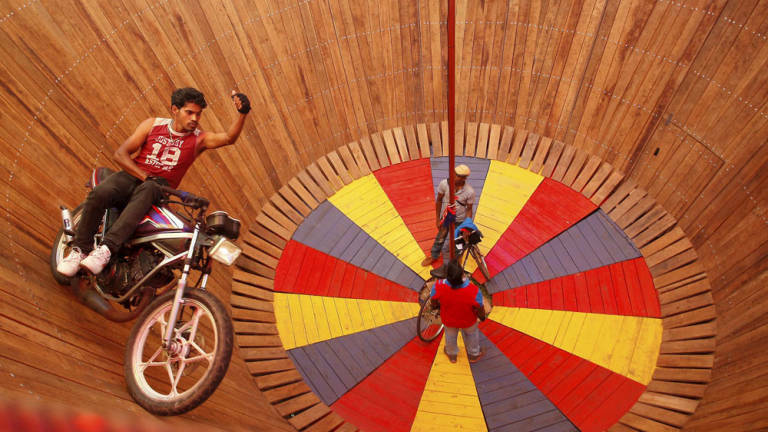 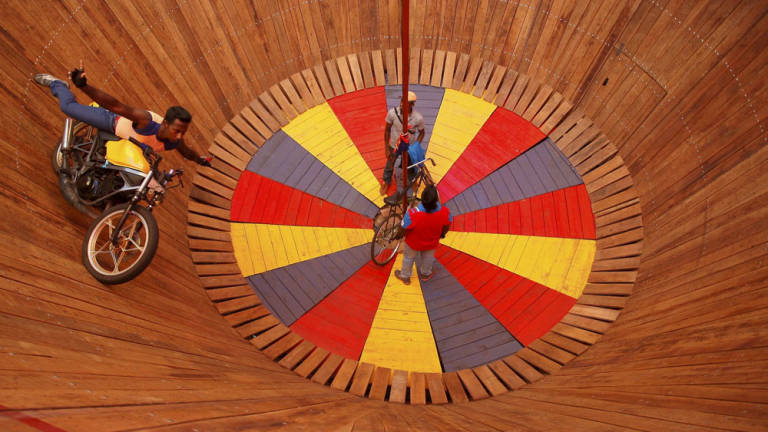 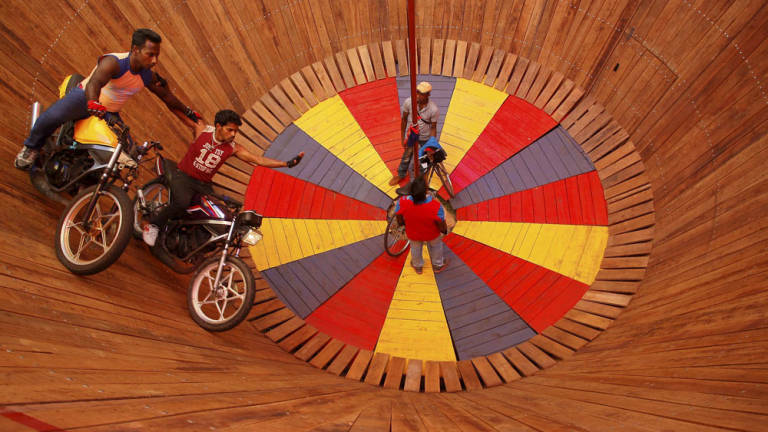 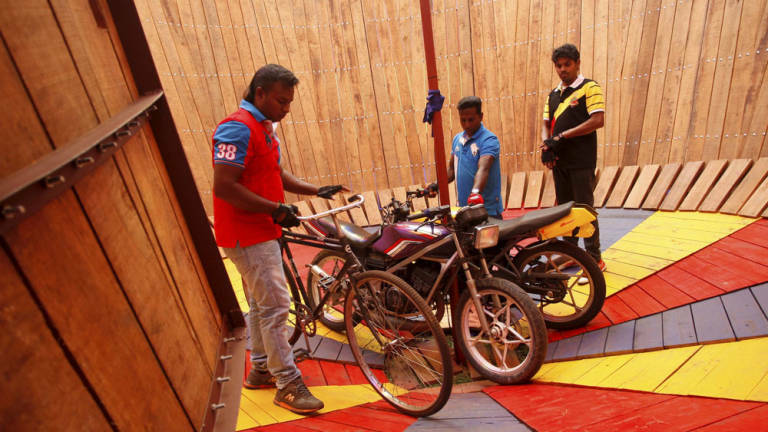 Stuntmen from Sri Lanka, Sugth and Nimal perform stunts on motorcycles inside the cylinder cone called ‘Wall of Death’. 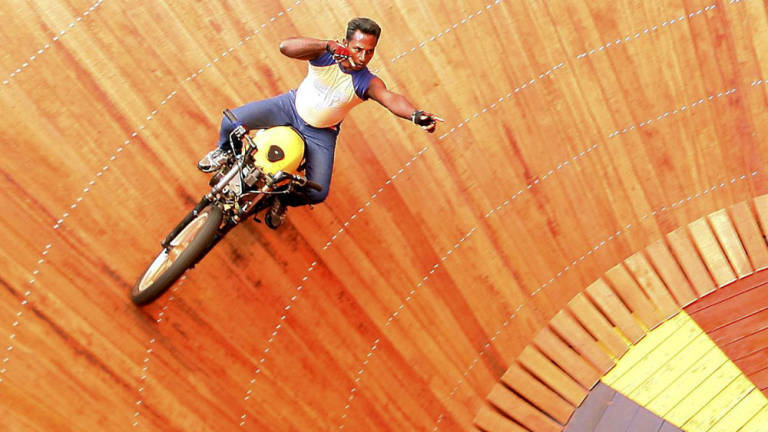 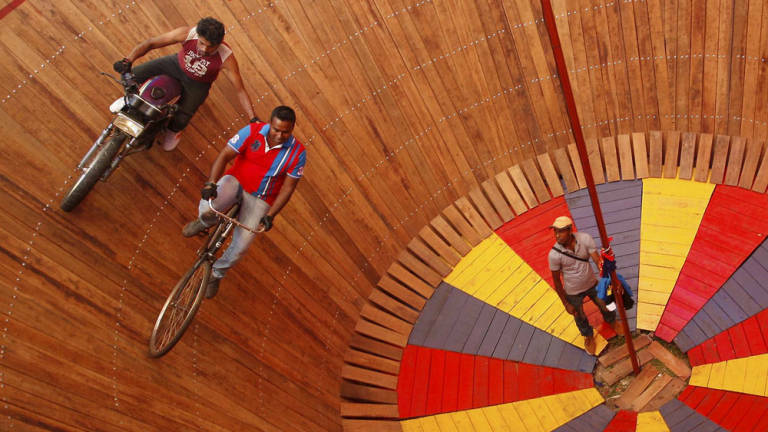 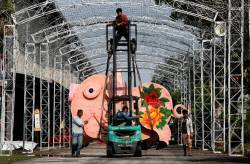 Stuntmen from Sri Lanka, Sugth and Nimal perform stunts on motorcycles inside the cylinder cone called ‘Wall of Death’ at a fair on the outskirts of Kuala Lumpur on February 1, 2015. 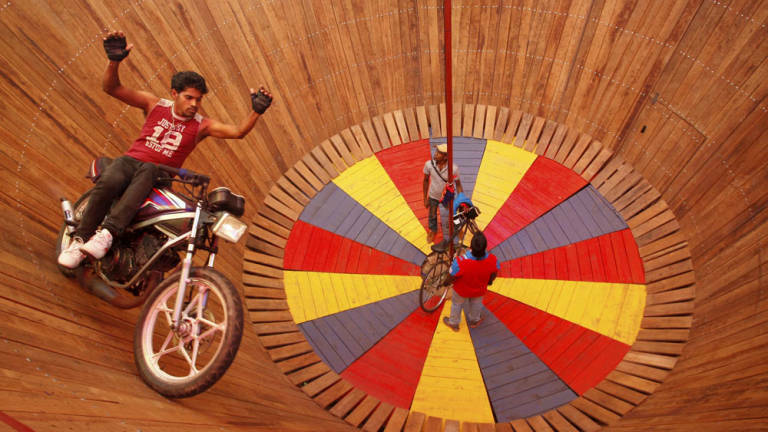 Wall of Death is a death defying and gravity defying series of stunts that one often gets to see in various carnivals or ‘melas’ across India and Sri Lanka. 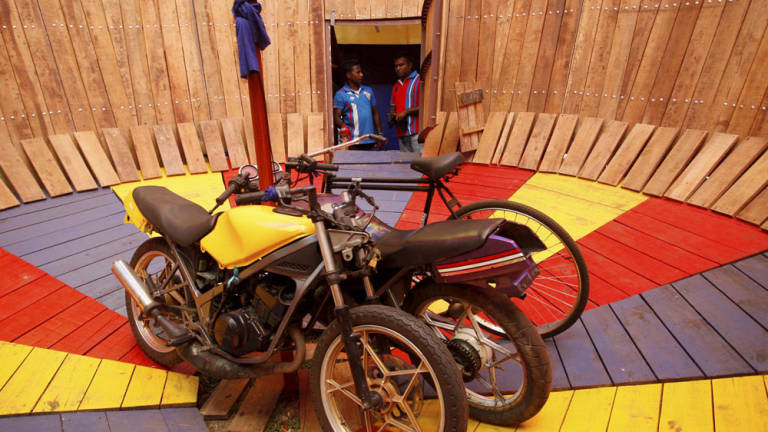 The stunts feature a wooden cylinder shaped like a barrel or an inverted cone about 8 feet to 50 feet in diameter. 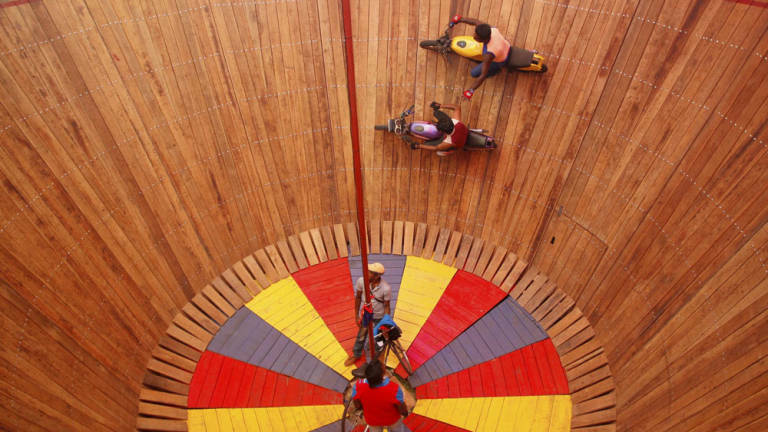 Inside this cone daredevils on motorcycles or occasionally on cars drive at break neck speeds along the vertical wall.